…The essence of effective communication is having each involved party understand the other party’s point of view. Effective communication does not require one to agree with the point of view, only to hear it. With this in mind, efforts to improve communication skills should focus upon improving listening skills. One’s goal should be to become an attentive listener. “Attentive listening is giving your full attention to someone. You not only listen to what is being said, but are aware of how it is said–the person’s tone of voice and body. You are listening to the total message the other person is sending. You value what the other person is saying. …You listen to the whole message instead of try to plan what you are going to say when it is your turn to speak. Attentive listening is one of the most difficult, yet necessary, elements of the communication process.” (Hardin, Getting Ready For Marriage Workbook, 1992:29). 2. Listen with your face. Give your full attention. 3. Listen until [the other] has finished speaking. 4. Listen without rude body language.” (Nelson, The Book of Romance, 1998:142-144). Author Gerry Spence agrees and also encourages a form of listening, which hears the party’s feelings behind their words. For example, he writes with regard to parties’ anger, “…there is usually a need to be heard behind the racket, usually pain behind the rage.” (Spence, How to Argue and Win Everytime, 1995:68). He further instructs to, “Hear anger, not as anger, but as pain…[and] [f]ollow the pain.” (Spence, 1995:233). He explains, “Anger… comes from hurt, from the pain of fear, from the pain of disappointment, from the pain of guilt or jealousy or rejection or frustration, or betrayal or loneliness or from the injury of attack.” (Spence, 1995:233-234). Spence suggests listening with a very attentive ear thereby, hearing not only the words, but also the impetus behind them. He writes, “The sounds always carry the argument better than the words. The sounds betray the urgency, the sense of caring, the anger, the ring of truth, the power…” (Spence, 1995:71). 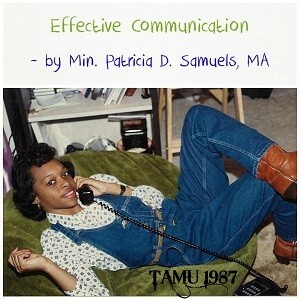 “The words you use, the way you say them, and your body language add up to the total message you send someone. Communication experts have shown that only seven percent of our message is sent from the words we say. Thirty-five percent of our message comes from our tone of voice, and the remaining fifty-eight percent of our message is sent through our body — eye contact, facial expressions, the shrug of our shoulders.” (Hardin, 1992:27). Hardin suggests giving attention to nonverbal communication because he believes that if a party is confused as to what is being said, they will have a tendency to hear the nonverbal messages above all other messages. (Hardin, 1992:27). He also believes that paying attention to nonverbal body messages will give insight into how the other party is feeling, or in other words, the other party’s underlying interests. (Hardin, 1992:29). Spence interestingly defines body language. He writes, “Body language is words heard with the eyes. Bodies reflect fear, boredom, interest, repulsion, openness, attraction, caring, hatred.” (Spence, 1995:72). Additionally, to improve listening skills one should reiterate what one believes he has heard and then ask if he has heard correctly. (Editors of Heart & Soul Magazine, “Heart & Soul’s Guide to Love and Relationships,” 1994:33). Thus, in an effort to improve communication, one must attentively listen for the underlying interests by listening to hear what is being said and then clarify what one believes he has heard. 1. Conquest: Hang in there until I win. I must win! 2. Surrender: Unless I give in, this conflict will go on forever. Defeat at least brings peace! 3. Withdrawal: Pull back for now. This is not over yet, but if I let the dust settle, I can see better how to win. Step back, regroup, then go for the throat! 4. Resolution: Find a way that I can live with you, I can trust and respect you, and you can trust and respect me.” (Hardin, 1992:99). 1. Understand that any two individuals will from time to time come into conflict. 2. Know that anger is a signal something is wrong. 3. Set aside time to deal with the conflict. When emotions are out of control, take time to step back, calm down, think, and then come back together. 4. Define the problem or conflict. 5. Identify each person’s understanding of the problem. 6. Discover areas of agreement and disagreement. 7. Stay on the subject which represents the immediate conflict. 8. Explore options of resolution. 9. Focus on the solution, not the problem. 10. Value the other person. 12. Allow for the needs of each partner to be met. …Identify the needs each of you has which are not being met in the conflict. 13. Close the issue.” (Hardin, 1992:102-103). Conflict resolution is not an easy undertaking. It requires time, effort, and skill. (Nelson, 1998:132-133). When the above-listed suggestions are followed resolution is possible and likely. “Resolution means that both persons come to a position where they feel that their feelings and ideas have been expressed, understood, and valued, and then a decision is made that accommodates as best as possible the feelings and ideas of both persons. There are no winners or losers. Rather, there is the advancement of the relationship to a new level of understanding and agreement…” (Nelson, 1998:139). I pray that you were blessed by this excerpt from my grad school days. Please share any aha’s, comments or questions below. I would love to connect with you here. Please share with your friends also, using the buttons below and thank you for sowing financial seed into Patricia Samuels Ministries to enable the Gospel to be spread throughout the earth!